When an employee suffers an injury or contracts an illness at work, the hope is that a full and quick recovery is possible. Often, that happens. Sometimes, the employee can even continue to work in some capacity as he recovers. Partial disability benefits and rehabilitation options can help injured workers return to work. Unfortunately, there are also situations in which the injuries sustained are so severe or long-lasting that the worker is unable to work at all afterward. In such extreme cases, the Ohio workers’ compensation system offers permanent total disability (PTD) benefits. What Is Permanent Total Disability in Ohio? Permanent total disability is defined by the Ohio Bureau of Workers’ Compensation (BWC) as an “injured worker’s inability to perform sustained remunerative employment.” This means the employee cannot work. These benefits address the reality that the injury will prevent the worker from earning future income. While these benefits may be paid for life, that is not always the case. Despite the name, permanent total disability benefits are available only if the injury persists. Ohio law states that an employee can be eligible for these benefits as long as the injury will likely continue for an unknown amount of time with no indication of recovery, which can mean a lifetime or some other period of time, depending on the situation. What Types of Injuries are Considered Permanent and Total? What Compensation Is Available for a Permanent Total Disability? Besides paying medical bills associated with the treatment of a worker’s injury, workers’ compensation offers wage replacement benefits. For those suffering a permanent total disability, payments can be made for life or until the time the employee can return to work, should that occur. In 2015, the BWC paid over $400 million in PTD benefits. These payments are typically paid every other week and are based on a percentage of the injured worker’s earnings before the injury. In Ohio, workers can receive up to 66 2/3 percent of their pre-injury average weekly wage, not to exceed the state set maximum. To obtain these benefits, an injured worker must file a claim with the BWC. The injured worker, the employer, or an authorized representative can fill out a First Report of Injury and submit this online. Typically, this form must include information about how the injury was sustained and supporting medical documents. It's necessary to appear at a hearing to discuss your injury and your claim. The BWC will make its initial decision within 28 days, and there are appeals options should the claim be denied. Once approved, payments will start immediately. 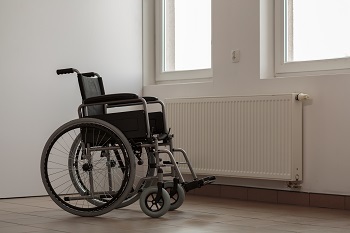 In Ohio, those who receive permanent total disability benefits may also be eligible to receive compensation from the Disabled Workers’ Relief Fund (DWRF). The state should automatically review each case and apply these benefits if necessary. The DWRF provides additional income for those whose PTD payment amounts fall below the cost of living. This helps ensure that permanently disabled workers are not negatively affected by inflation as time goes by. While an injured worker need not apply for these benefits, it is possible to appeal the decision of the commission if it determines a worker is not eligible. Can I Work at All If I Receive Permanent Total Disability Benefits? A worker cannot work if he or she receives PTD benefits. The benefits are awarded because the injured employee is incapable of sustaining a job. Exception is made for those who have suffered one of the automatic "statutory" PTDs: they are permitted to work and still obtain benefits. Every situation is unique, however, and an experienced Ohio workers’ compensation attorney can help injured workers understand their rights and options to obtain maximum compensation. If you or someone you love has suffered a serious injury at work, the dedicated attorneys at Monast Law Office may help. Call our Upper Arlington workers' compensation law office today to speak with a member of our team and schedule a free, no-obligation consultation.